Dr. Thomas Kailath, Professor Emeritus of Electrical Engineering at Stanford University, has been widely acclaimed for his contributions to science and technology. His numerous recognitions include the IEEE Medal of Honor in 2007 and the Padma Bhushan award in 2009 from the President of India. 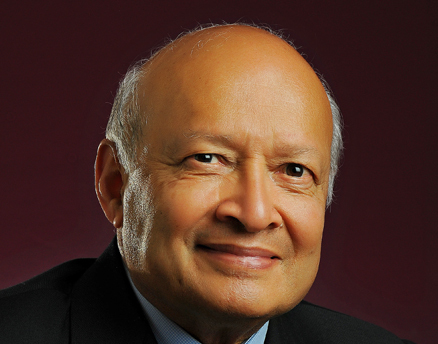 In 2014, President Barack Obama honored Prof. Kailath with the US National Medal of Science award, for his “transformative contributions to the fields of information and system sciences, dedicated and sustained mentoring of young scholars, and for translation of scientific ideas into entrepreneurial ventures that have had a significant impact on industry.” Professor Kailath has been actively nurturing social entrepreneurs and supporting numerous community and philanthropic initiatives in the United States and in India, including ICA’s Sarah Kailath Women’s Leadership Program.